Yes, we find some crazy, kitschy stuff! 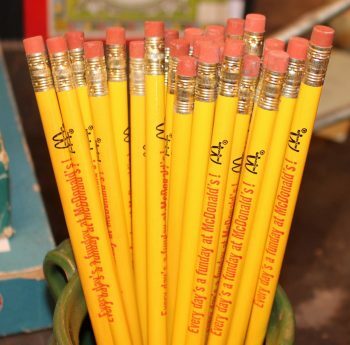 Vintage McDonald’s pencils. $1 each. What more can we say?